Here’s one for your kids! Disney does cater to children (and children at heart), so my cookbook contains a series of recipes designed for the little ones. This is the first one I tried. It’s a pretty simple recipe and was very easy to cook. This recipe appears on the kids menu across multiple Disney restaurants. 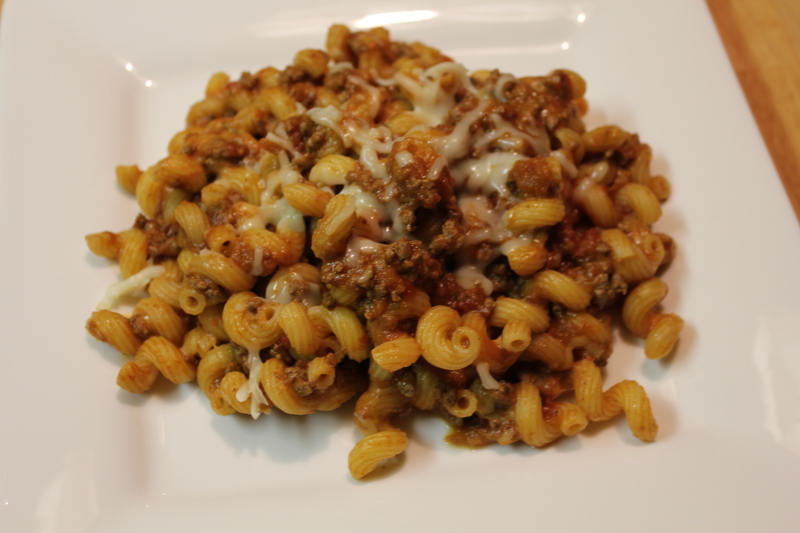 Essentially the recipe is ground beef, mixed into a marinara sauce, with some pasta and topped with some mozzarella cheese. 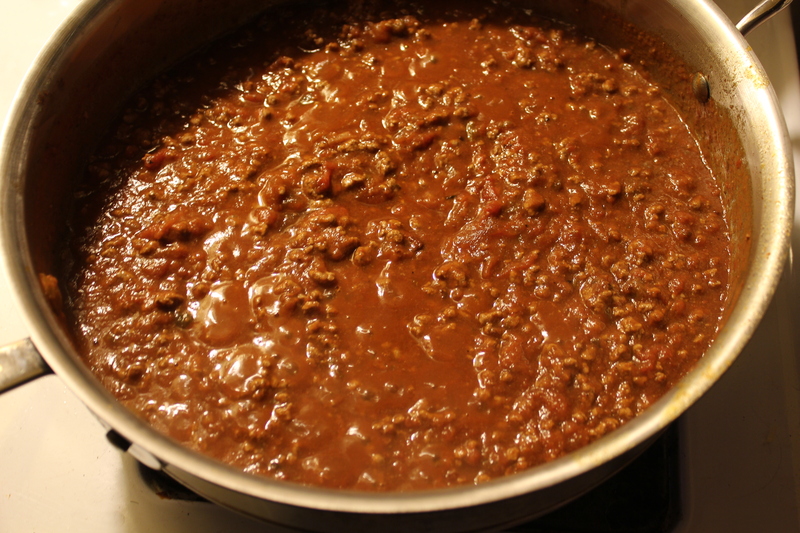 There’s also some mozzarella cheese mixed into the meat sauce to give it a little creaminess. Disney does take steps to make sure their food is nutritious and this recipe is no exception. The recipe calls for whole wheat pasta. You can use regular pasta and the recipe would work fine, but why not get the nutrition boost? Wheat pasta does taste different. It has a stronger flavor and it has more of a “bite” to it. If this turns people off, I would actually suggest Barilla Plus pasta. It has the extra protein that helps you feel full like wheat pasta but the taste is not as strong. You can use any sauce you would like; they don’t give you a recipe, so just use your favorite. I did make a mistake on this recipe. I didn’t season properly. Seasoning is very important. We’re talking salt here. I know there is a debate as to whether salt is good or bad for you. I can’t help in this area, not my area of expertise. The one thing I will say is that in moderation, no food is that bad for you. Salt causes the true flavors of an ingredient to come out. The beef will taste more beefy, tomatoes with taste more like tomato. I knew my sauce was ok, but then after adding the beef, I really should have tasted and re-seasoned. So don’t forget the salt or you might end up with a bland mess. As I have said before, the quality of your ingredients is very important. In this recipe, I used grass feed beef. Grass fed beef is what beef used to taste like before the days of mass farming in giant pens. Most beef is “beefed up” on corn feed. It helps the steer grow quickly and grow bigger. The problem is, that you are what you eat, and the same goes for cows. A combination of quick growth and feeding on corn, which is a simple flavor, results in big pieces of beef with a watered down taste and little character. Steers that are fed grass (like they were born to) tend to take longer to develop, (that’s why it does cost more) but the grass adds a lot of character to the taste of the beef and so does the time they are given to mature. Another appealing thing about grass fed beef is it has an attractive look to it. Did you ever cook ground beef or a steak and it has a gray tint to it as opposed to that nice deep brown look that you see in a commercial for a restaurant? Well, with grass fed beef, you get that wonderful brown color due the fact that the meat was given time to develop. 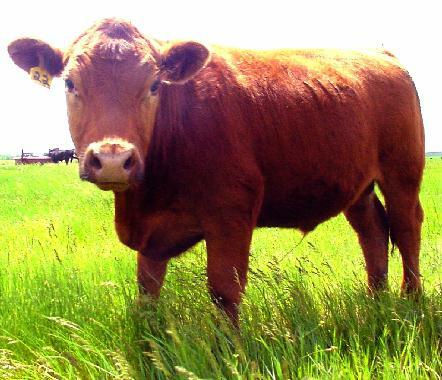 You can get grass fed beef at many supermarkets. If you can’t get it at a decent price, you may want to look for a local supplier. There are many farmers around the country that sell direct. Look for a local supplier that knows what they are talking about and you can trust. You won’t be disappointed and your stomach will thank you. And so will your taste buds! All in all, the recipe was tasty, but kind of boring. I understand that it’s meant for kids, but it’s definitely something I could have come up with on my own. It actually reminded me of Beefaroni. Not that there is anything wrong with that…. but I was more of a Spaghetti O’s with Meatballs kid. This entry was posted on January 26, 2012 at 9:05 pm	and is filed under beef, Disney, disney world, food, grass fed beef, kids, oodles of noddles, pasta, Uncategorized. Tagged: beef, cooking, Disney, Disney Dining, Disney food, eating Disney, family, food, grass fed beef, kids, oodles of noodles, pasta. You can follow any responses to this entry through the RSS 2.0 feed. You can leave a response, or trackback from your own site. So true with the salt. I continue to be amazed by how a pinch of salt can change an OK sauce into a great one. It makes sense that this recipes is meant for kids but I am sure none of mine would touch it (two vegetarians and one cheese hater) – Did your little ones like it? They only thought it was ok, they actually liked the cheddar Cheese soup and the Salmon much better. They have odd tastes for a kid, they love things you would think kids wouldn’t even try and they reject things that most kids would eat every day. I’m convinced my daughter’s scale for food she likes is based on how much it costs. You can’t imagine the look on the cheese ladies face at our local grocery store when she offers my two year old daughter american cheese instead of the brie I was offered to sample and my she advises the cheese lady that “I had Brie at my house and it was delicious” Luckily, as long as we don’t have something better, she likes eat american cheese.